I am a huge nerd. As a kid, I got turned onto model rocketry by my fifth grade teacher, Miss Hanson. As with a lot of my interests, I surged ahead, devouring everything I could on the subject, building countless rocket kits and losing every single one to trees and wind. I even went so far as getting fellow nerds together for a “rocket club.” We met in my parents’ basement. My mom made us sloppy joes. Then, like so many things, I cast away my childish interests only to have them come back to me as incredibly useful in my teaching career. As an end-of-the-year project, our fifth grade students are building easy-to-assemble rocket kits; a half-hour and a coat of paint and they are ready to go. What is more interesting is the project our sixth grade students are engaged in. 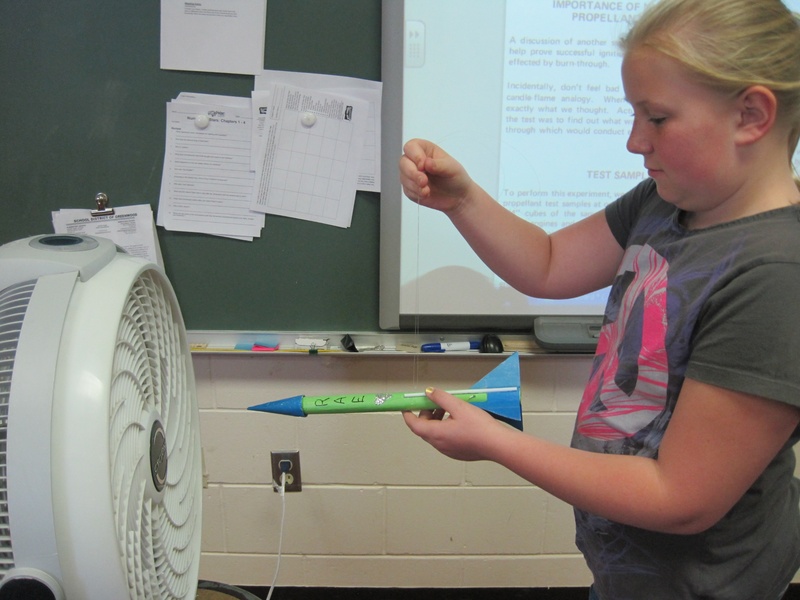 The sixth graders’ rockets are made from scratch. They consist of a sheet of construction paper, a file folder, a paper clip, and a drinking straw. Total cost: $.12, not including the disposable rocket engines. As fun as building rockets from scratch can be, launching them can prove to be interesting; things like poor build quality and strange fin shapes can make for unpredictable (but exciting) launches. The subject of rockets could not happen at a better time. A wealth of YouTube videos capture amazing launches from home builders, and the news is full of Space X’s new rocket that may be replacing the space shuttle. 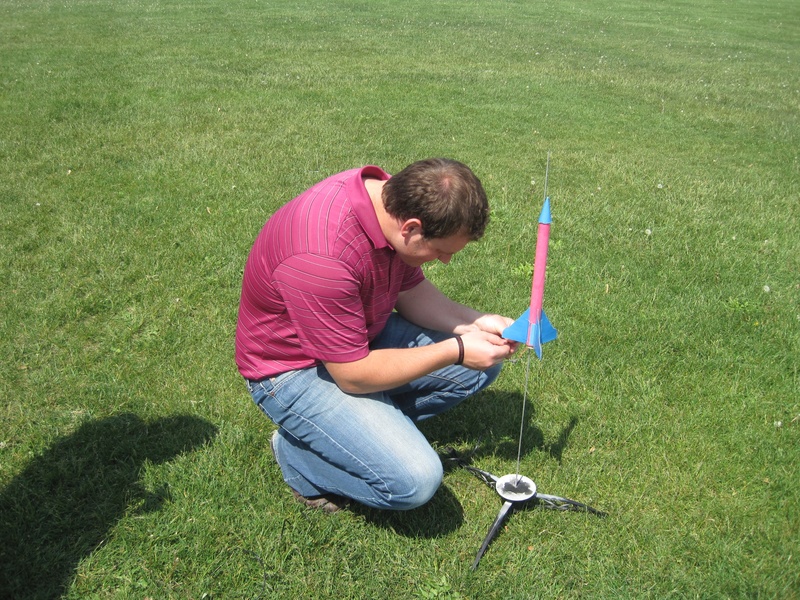 Here a few ways to get started on rocketry; it makes a great summer school activity. First, make sure you have a launcher, launch pad, and engines. You can choose to buy rocket bulk-packs for your students (great for beginners), or have them choose from a list of rockets (more advanced students), or build them from scratch like I did (at your own risk). There are lots of good places to buy your stuff, but I go with a website called eHobbies. They have lots of experience working with teachers and youth groups and work with several manufacturers. I bought rockets, engines, and launching equipment made by Quest Aerospace. They even have starter kits put together for teachers who want to start a rocketry program. If it seems intimidating, don’t worry. It’s not brain surgery, only rocket science.